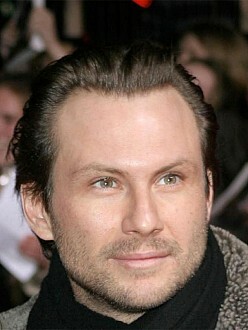 Christian Slater, 44, married his girlfriend Brittany Lopez at an impromptu civil ceremony at the courthouse in Coral Gables in Florida on Monday. A spokesperson for the Mind Games star told People.com that the couple spontaneously decided to get married after they initially went to the Coral Gables District Court near Miami to get their marriage license. The couple, who have been together for three years, announced they were engaged in February, two months after they celebrated at a huge party for family and friends last December. Christian previously revealed they were set to tie the knot in a small ceremony in their back garden in July and had hired a wedding planner. He said: ''It will be good, intimate and small and family members. It will be nice.'' Christian has a son, Jaden Christopher, 14, and daughter, Eliana Sophia, 12, from his first marriage to Ryan Haddon.